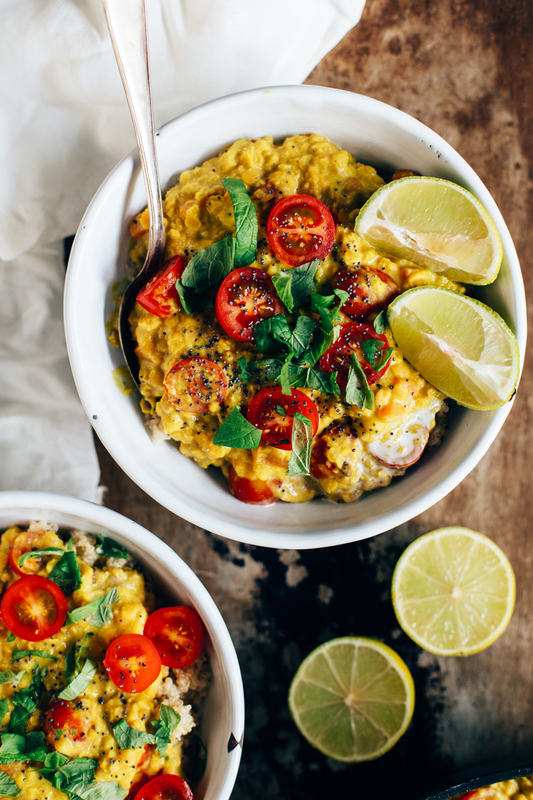 BIG NEWS: I’m launching a Meal Plan Service + a giveaway! I’ve been waiting for this day for so long now, and finally it’s here. Today’s the day that I’ll get to call myself a foodie entrepreneur in addition to being a food blogger-cookbook author-photographer, and I couldn’t be more excited. Together with my friend (and namesake!) 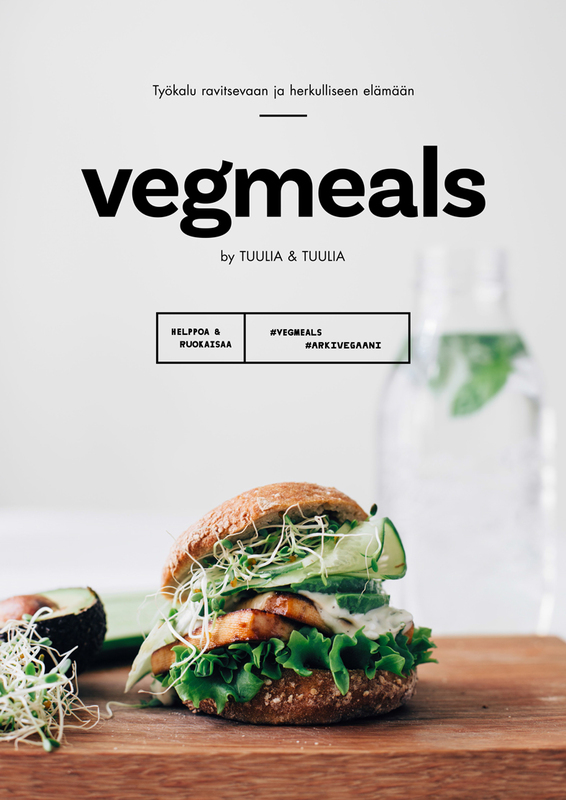 Tuulia Järvinen, we’re a launching a meal plan service called Vegmeals, that hopefully will make your life a bit more easier, greener, and a lot more delicious. And I finally get to talk about it! Before I’ll jump into more details, I’ll give you a bit of a background. My friend Tuulia behind Wellberries has been running her own meal plan service called Wellmeals very successfully for a few years now. She’s been receiving a lot of requests from clients about a plant-based meal plan, but hasn’t had the time to properly do it. 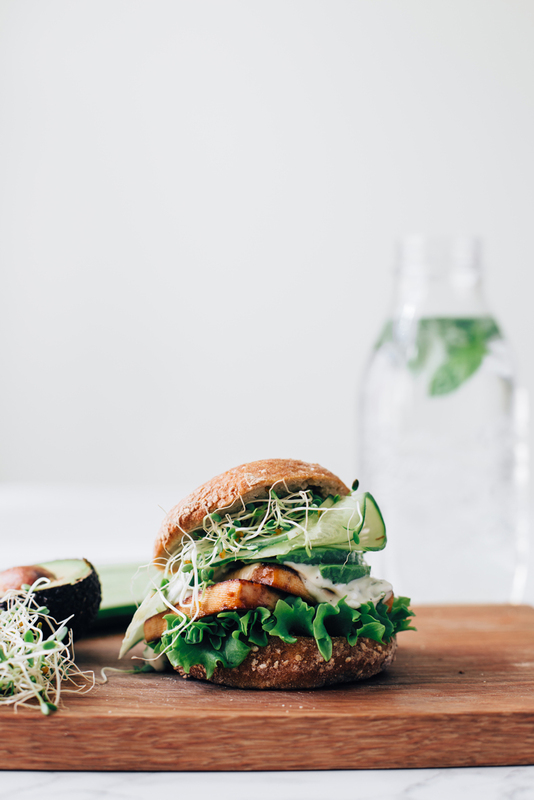 So one day last winter as we were having lunch, talking about our projects and future desires, an idea hit us: we should do the plant-based meal plan together, as it was a service we were both looking for ourselves too. We both love to cook, but grocery shopping every day and thinking about what to cook while having a hanger attack (or a tired kid) in the store was getting a bit old. It would be great to eat nourishing plant-based food, know what to cook a few days in a row, and not to grocery shop every day. So being the food lovers we are, we decided to bring that idea into life, and now our service is live and kicking! We’ve been having friends and relatives to test out the meal plan and the recipes, and we’ve gotten such a great feedback. It’s always super exciting to launch these kinds of new projects, but this time I really feel like we’ve come up with something that makes life easier and tastier. 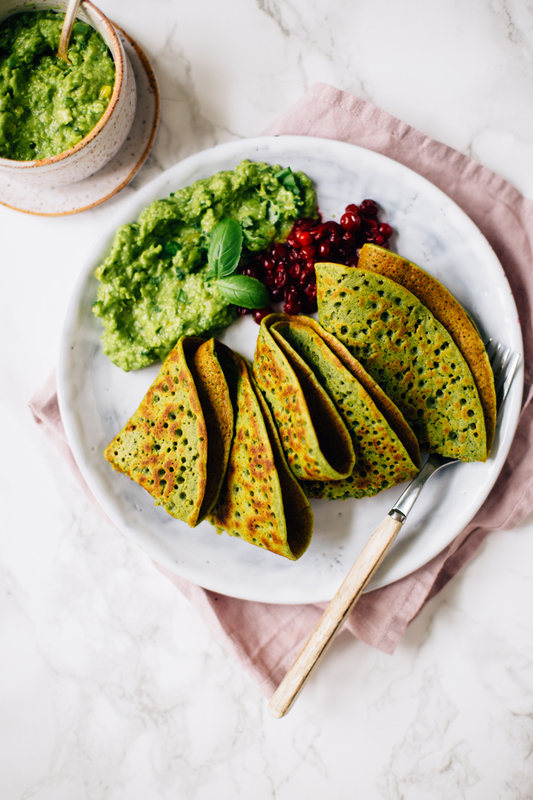 You’ll find more information and photos on our website and you’ll be able to order the groceries straight to your home from Alepa Kauppakassi. And don’t forget to follow us on Facebook for more news too! 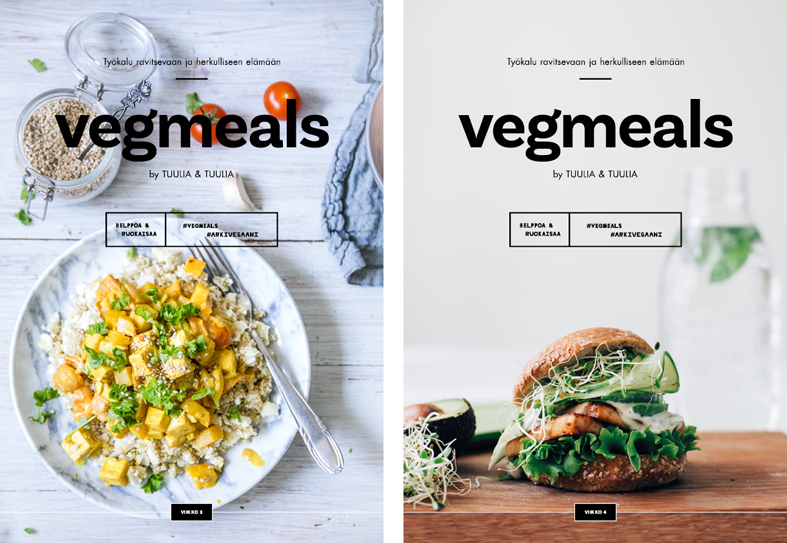 At the moment, the meal plan is available only in Finnish but an English version is in the works and I’ll let you know as soon as it’s available! If you end up trying out the meal plan or the weekly grocery bags, I’d love to know what you think! And feel free to share the good news to your friends too! 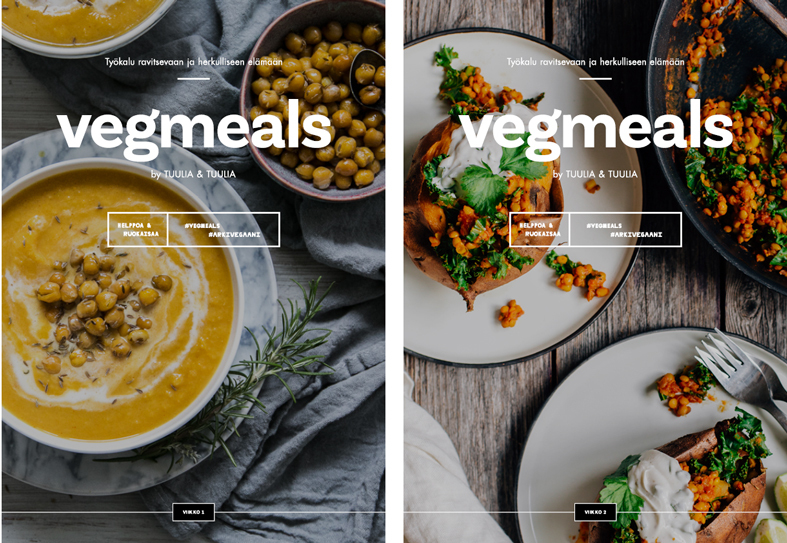 The Vegmeals Meal Plan offers 16 vegan + gluten-free recipes together with 4 shopping lists. So you’ll have four delicious dinners for four weeks! The PDF is 12,90€ and you’ll be able to download it straight after paying. READ MORE & GET THE MEAL PLAN! Vegmeals Weekly Grocery Bags all include four vegan + gluten-free recipes with the needed ingredients. You’ll be able to order the groceries straight to your door through Alepa Kauppakassi and you can easily add all your other weekly groceries in the same order. The grocery bags start from 55€ + the delivery starts from 5,90€. The grocery bags are available in the Helsinki Metropolitan Area, but hopefully later in other parts in Finland too! READ MORE & ORDER THE GROCERY BAGS STRAIGHT TO YOUR HOME! Tagged health tips, lunch & dinner, vegan, vegetables, vegetarian. This Gluten-free Mushroom Pie is made with champignons, spinach, and feta cheese and it's the perfect treat for an autumn picnic. This pizza ain't an ordinary one, but a vegan and gluten-free chia pizza with cashew cheese and avocado pesto. So much goodness in one bite. Oii hauskaa! Kiinostuin niin että kyllähän arvontaan mukaan tullaan! Wou siistiä! Olis kyllä hienoo päästä kokeilemaan vegeruokia! Aivan mahtava idea ja ihana syksyn apu!☺️ Onnea sinulle! Wou – first of all congrats girls for the great service! sounds delicious and nutritious!!! So fingers crossed for the giveaway! Aivan mahtava idea :) Onko yksi reseptiviikko kuinka monelle hengelle, riittääkö kahdelle? Looks amazing! 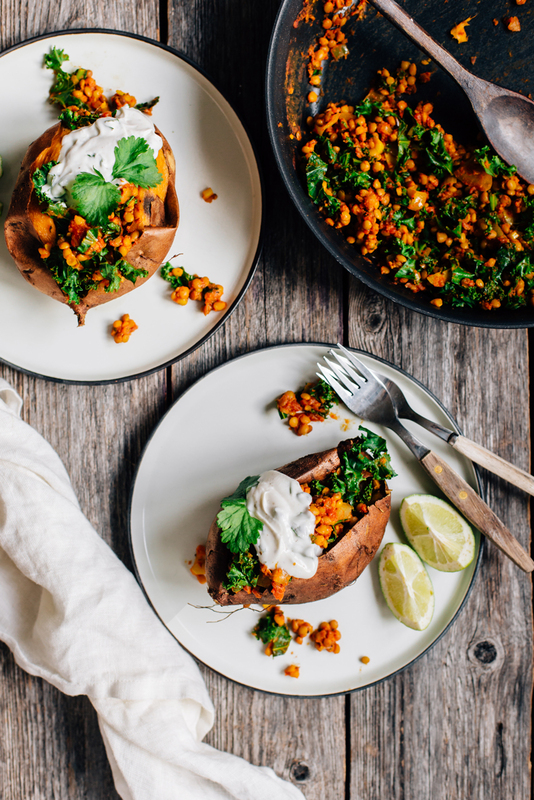 I’m so impressed by your ability to create simple, delicious, plant-based, healthy and gluten free meals! So sad that it’s in Finnish…I suppose it’ll just be my inspiration to learn so I can enjoy more of your delicious recipes! Uuuh todellakin mukana kui siistii! Kuulostaa kiinnostavalta! Tuli heti mieleen pari frendiäkin jotka voisivat innostua tästä. Tää todellakin pelastaisi kiireisen arjen <3 Mukana arvonnassa!